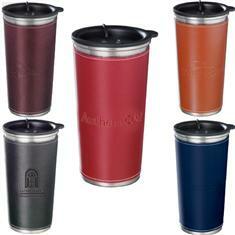 Double wall Stainless Steel designer tumbler with UltraHyde sleeve. Features a Stainless liner and a rotating closure drink trhough lid. Available in three sleeve colors.